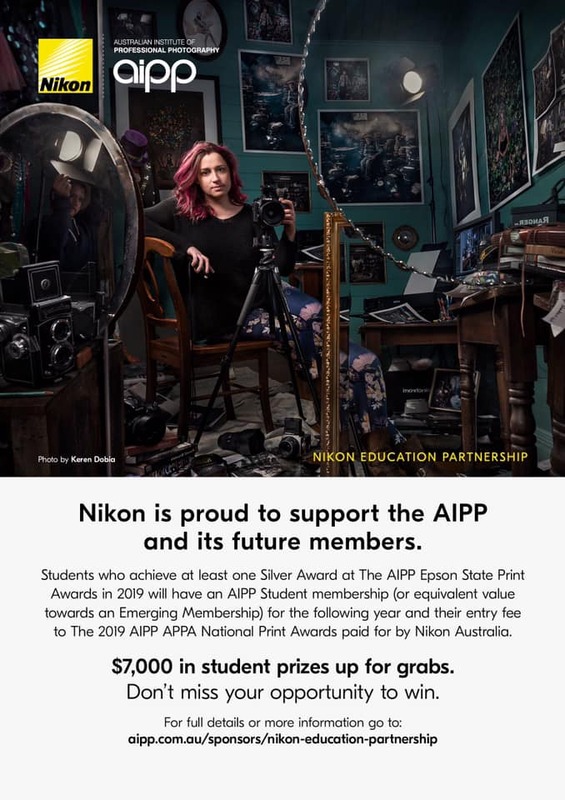 Nikon Australia has entered into an Education Partnership with the AIPP, which will see it cover membership and APPA entry fees for student photographers who earn a Silver Award at the State Awards. The AIPP Epson State Print Awards have served partly as a ‘stepping stone‘ for non-AIPP photographers to enter the national Australian Professional Photography Awards. To qualify a student must achieve one Silver Award – a print score between 80-84 which indicates the image ‘exceeds normal professional practice’. Nikon will pay the $88 AIPP membership fee for the following year, and the APPA entry fee. The 2018 entry fee was $216 for non-AIPP student photographers, $110 for AIPP students, and $83 for AIPP student qualifiers via State Awards. If the student photographer is upgrading to an Emerging Membership, $88 is contributed to the fee. APPA 2017 winner and TAFE lecturer, Keren Dobia, will tour education institutes to promote the partnership. She visited TAFESA in Adelaide on Wednesday, March 27, with Nikon currently finalising other dates around the country. Nikon is also sponsoring the student categories at both AIPP awards, with $7000 in prizes for winners. The Nikon AIPP Education Partnership is a pilot program, which the AIPP expects will be ongoing.